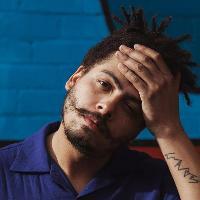 Seth Troxler plays an extended set for Fight Night at Lab11. Seth Troxler needs no introduction, so we won't give him one. The man himself will play an extremely rare extended set alongside Will Power (LAB11), Myles Evans (FIGHT NIGHT) and Nick Williams (Phonica Records & Meda Fury). Nick's the guy Seth goes to when he's record shopping in London - needless to say he knows a thing or two about music (and the same can be said about DJing)! This one's a little different; we're starting proceedings at 5pm and finishing things off at 2am. Who doesn't love a good soirée with pumping dance music!